Australia risks being left behind as a media law backwater while other nations pursue defamation law reforms designed to meet the realities of digital publishing and social media. Australian lawyers attending the biennial London conference of the Media Law Resource Center in September could only look on with wonder, and some degree of envy, as English delegates spoke of their new defamation laws. Amid the general antipathy directed at Fleet Street in the wake of the phone hacking scandal – and despite the collective dread felt towards the resulting Leveson reforms – the Brits had managed to pull off significant libel reform. The Defamation Act 2013 contains some key reforms that will severely impact London’s status as the preferred destination for libel tourism’s frequent flyers. Foreigners will no longer be able to seek redress before the Royal Courts of Justice unless the case involves a citizen from Europe and it can be shown that England or Wales is the most appropriate jurisdiction. This is bad news for Icelandic businessmen, Russian oligarchs and Saudi billionaires who have been able to sue in London even though the offending libels were written many miles away, often in languages other than English. Trial by jury has been abolished (reducing the length and cost of libel actions); the defences of truth and honest opinion replace the defences of justification and fair comment; and qualified privilege has been extended to peer-reviewed statements which should prevent future cases like British Chiropractic Association v Simon Singh (in which the defendant had the temerity to suggest that some unidentified chiropractors on occasion practiced “bogus” treatments). While Australia has never really featured on the libel tourism map (thanks largely to the strict jurisdictional requirements laid out in Gutnick) there are three reforms under the English Act which could have particular applicability to Australia. These are the introduction of a test of serious harm, a single publication rule, and a new defence for the operators of websites who publish third-party comments. Under Section 1 of the new English Act a statement will not be viewed as defamatory unless its publication or broadcast is likely to cause serious harm to the reputation of the claimant. Courts will simply throw out trivial libel cases before their proponents are allowed to abuse the processes of the court. Say goodbye to the mad pro se plaintiff; au revoir to the vacuous stop writ. In future the court will be required to consider whether or not the publication has caused or is likely to cause the plaintiff serious harm. Claimants will fail to meet this new threshold in circumstances in which publication is limited or in instances where the plaintiff has a generally bad reputation to start out with or if the claim is based on an innuendo meaning which is understood by a small number of people. Perhaps the biggest bete noire of the free speech advocate in Australia is the absence of the single publication rule. Ever since the Duke of Brunswick’s manservant procured a 17-year-old copy of the Weekly Dispatch the law in Britain and its colonies has allowed the defamation plaintiff to sue whenever there has been a “new publication” of the original libel. The absurdity of this 1848 case dictating defamation legal theory in the digital age sadly remains lost on Australian jurisprudence. If an article remains online a plaintiff may still bring a defamation action several years after the original publication. Under the new “single publication rule” in England, however, the cause of action accrues from the first date of publication, provided that the subsequent publication is substantially the same as the original. For internet publications, that means the statute of limitations will expire 12 months after the date the article first appeared, and not restart every time the article is downloaded off the internet. This is much like America’s system in which there is ever only one act of publication (regardless of the format) and statute of limitation generally expires one year from that initial date of publication. The Brits have also partially borrowed US law on the issue of third party content on websites. Under section 230 of the Communications Decency Act the operator of an American website cannot be held liable for any libellous material submitted by people not associated with the website (unless their comments have been edited and/or endorsed by the operators of the website). Under Section 5 the Defamation Act, a slightly more restrictive form of this defence has been created for websites who host third party content. Upon receiving such a notice the website must acknowledge receipt of the notice within 48 hours and also send its own notice to the person who posted the contentious material, notifying them that the material will be taken down unless they contact the publisher with a counter argument within five days. No such innocent dissemination laws exist in Australia. Those website owners brave enough to publish their readers’ comments must deploy considerable resources to monitor and edit the material left by outsiders – a situation that is hardly conducive to robust democratic debate. Even Canada is looking at ways to protect website operators from liability for the content left on website by third party commentators. Australia, conversely, has no constitutional protection for the speech, beyond the limited political communications defence laid out in Lange. Given the country’s unwillingness to support constitutional reform (just seven changes in 113 years), free speech advocates in Australia look to the legislature for relief. 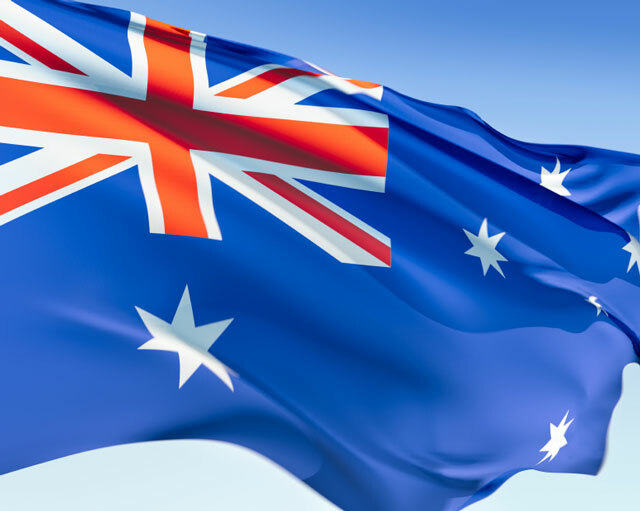 As we approach the 10th anniversary of the enactment of the unified defamation laws perhaps it is time for a serious overhaul of the Australian libel system – starting by the adoption of the reforms made in Britain. Those reforms should reflect the new digital landscape where hundreds of defamatory insults are posted online each day, reacted to, and forgotten within a nanosecond. It’s worth remembering that when the Defamation Act (NSW) was introduced in October 2005 Facebook had no friends in Australia and only birds could “tweet”. Michael Cameron, National Editorial Counsel for News Corp Australia, recently returned to Sydney. For the past seven years he worked as in-house counsel for The New York Post. The views expressed here are his own. 1. Simon Singh’s article which gave rise to the action against him by the BCA was not published in a “peer reviewed journal” (it was in the Guardian). So the new provision would have made no difference to that case (which failed under the old common law anyway so didn’t need the Act). 2. Libel tourism – contrary to the scare stories this is very limited. There are a handful of cases in England over the past few years. 4. The case of Dell’olio v Associated Newspaper had nothing to do with the campaign for the Defamation Act (it was decided in December 2011 (Lord Lester’s Defamation Bill was in 2010).